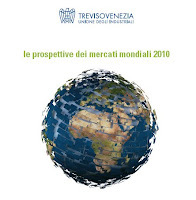 This morning our company have participate at the congress made in Venice dedicated to the future development of worldwide markets, by Confindustria Venice and Treviso Industrial Associations, where we are associated. In this conference was talk about product diversification and business Internationalization, with the presence of Italian Institutions, Industrial Associations, labor unions, consultants and small, medium and big industries. From this year we have create a masterplan work and we have extend our service in whole Italian country and to Slovenia and Croatia countries.